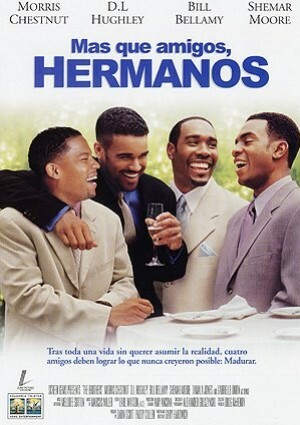 Historia de cuatro amigos de toda la vida, Jackson Smith (Morris Chestnut), Brian Palmer (Bill Bellamy), Derrick West (D.L. Hughley) y Terry White (Shemar Moore), sus carreras profesionales, el baloncesto y su relación con las mujeres, a las que no entienden. Paddy Cullen, Tatyana Ali (Cherie), Nadege Auguste (Ursula), Bill Bellamy (Brian Palmer), Julie Benz (Jesse Caldwell), Redena Bivins, Angela Brooks (Carla Williams), Vanessa Bell Calloway (Dr. Thelma Woolridge), Morris Chestnut (Jackson Smith), Susan Dalian (BeBe Fales), Marla Gibbs (Mary West), Gary Hardwick (T-Boy), D.L. Hughley (Derrick West), Tamala Jones (Sheila West), Jenifer Lewis (Louise Smith), Shemar Moore (Terry White), Clifton Powell (Fred Smith), Gabrielle Union (Denise Johnson). Gary Hardwick (Dirección), Gary Hardwick (Guión), Darin Scott (Producción).